I started my hunt at the Pottery Barn store and I ended up checking out two natural fiber samples. They were both rattan and unfortunately when I got home I realized they weren’t what I wanted. 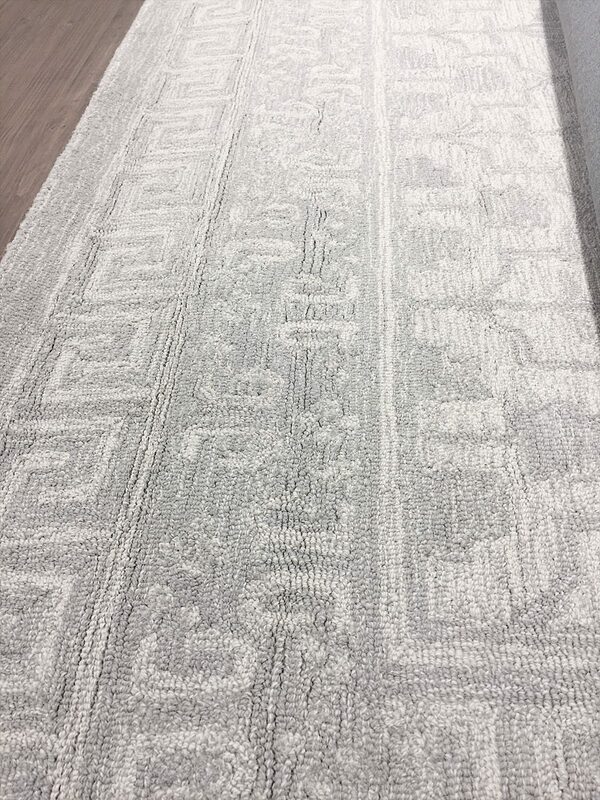 I then looked everywhere online but I realized I had to buy a rug that was soft underfoot (to keep my husband happy) so I had to find the rug in person. Eventually, I ended up at the Pottery Barn outlet and I struck gold. 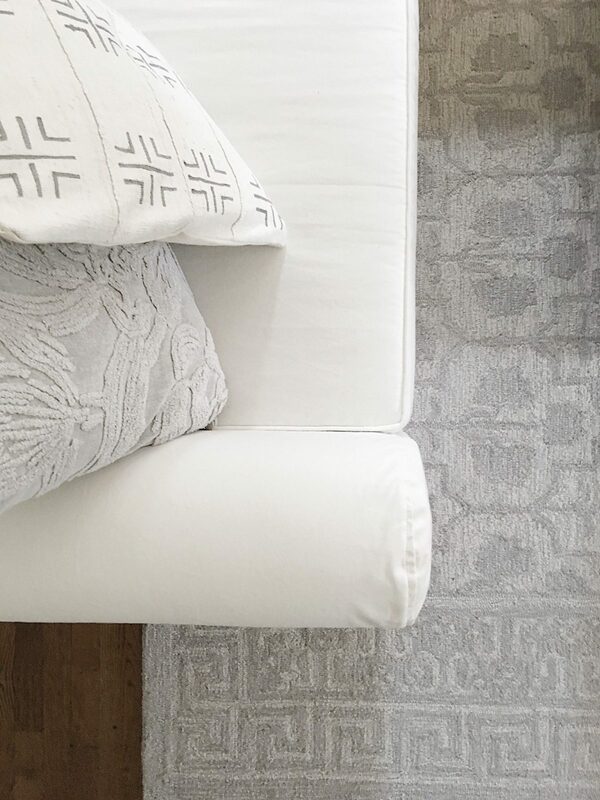 I found this rug which was the right colors, it was extremely soft, 100% wool and it was 50% off. I call this a no-brainer. I also needed new pillow covers so I found the two larger gray chenille ones at the Pottery Barn outlet too. 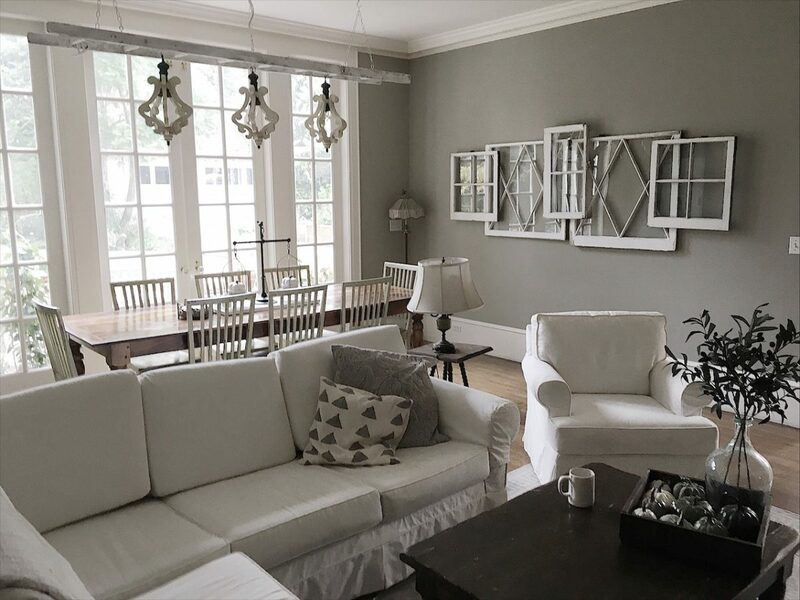 The grey and white pillows were purchased at the Long Beach Flea Market from @malimudcloth. I love the fabrics and she also sells the ready-made pillows which are so reasonably priced that it makes no sense to buy the fabric and make them yourself! I know I still need to sand and stain the coffee table but I will get to that soon, I promise. Your room turned out beautiful, Leslie! I love the look and its fresh and peaceful energy. I’m tempted to redo my own home. 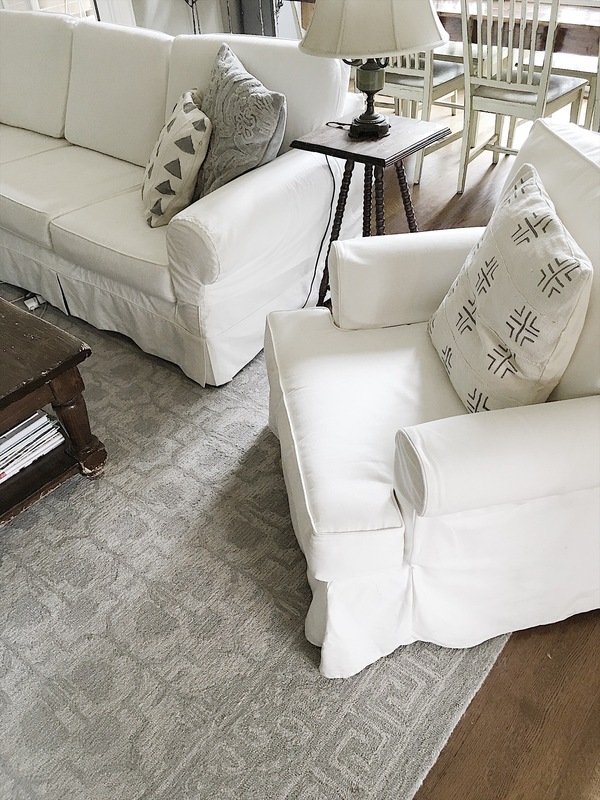 And I have to ask, only because I know how well I do with white (not) – how do/will you keep white slipcovers clean?